Rahul Gandhi, the vice president of the Congress and the face of the Party in the 2014 Lok Sabha elections, came forward to sit in front of a camera for a long interview with the angry-young man of the Indian media, Arnab Goswami, the editor-in-chief of the Times Now. The interview, the first in last ten years of UPA, was a sublime opportunity to the heir-apparent of the Congress to change the tone and tenor of our current socio-political discourse but, sadly, the man failed to rise to the occasion. Once again, he proved he was the biggest disappointment of our era. He has neither decibels nor substance; he’s just a dud. The Congress is leaving no stone unturned to project the man as a youth icon and is spending fortune on his image make-over overtures. But, in absence of a political vision and a solid idea in him to take the nation to the next level of systemic and institutional changes, such overtures will hardly make an impact. As a leader, Rahul Gandhi is supposed to talk of change. He’s supposed to come up with few path-breaking ideas that could alter the political environment of the nation; he’s supposed to put forth few radical concepts that could revolutionize the way our institutions operate. But, he failed to rise to the occasion and to turn himself into a leader India wants him to be. Instead, he chose to remain stuck up into the same muddy ground his party has chosen for itself over the years. Today’s India wants to swim to the new waterfronts of opportunities but Rahul chose to slosh around the cesspool of dying ideas. In fact, he’s ended up being a morbid prisoner of his party’s legacy of stale ideas. In the interview he chose to put all the blames of our current socio-political entanglements on the system. But, the point is who is responsible for degeneration in the system? Who has brought it to such a level of misery that it brings abhorrence and apathy in the consciousness of a common man? It’s your party Rahul, that is presiding over the system since last ten years and that has ruled the nation for close to 5 decades. If there is corruption, there is misgovernance, there is inefficiency or there is misuse of power then you’re responsible. If the system has become dysfunctional it’s you to blame. You must stand up and take the blame. But, you chose to remain silent on those scams and turned a mute spectator during the brazen loot of natural resources and of national wealth. Even in the interview, you failed to owe the blame. It was a golden opportunity Rahul to owe the responsibility and, like a mature leader, to talk on solutions. But, you let the interview pass by. It was not the right occasion to point finger at the system rather it was the occasion to come up with solutions. You’ve identified the source of reigning ills but now you must display the vision and the guts to take on those ills. History tells us that all changes have come from few determined individuals who have carried a vision and have had steel fitted in their spines to implement those visions. A leader must carry conviction in his heart and clarity in his mind to transform the nation and society. Rahul Gandhi, unfortunately, has failed so far to display that clarity, conviction and spine. The interview gave him the golden opportunity to bandy about such ideas; but he showed, to our consternation, that he had none. He talked of empowerment all through the interview and cherished to make it a tool of socio-economic changes for the underprivileged and the women. But, where is the determination, Rahul? With the kind of position you’re in, the kind of goodwill under your belt and the kind of resources at your command, you’d have brought in an unimaginable revolution. But, in absence of a commitment to these causes displayable through actions on the ground, such utterances get reduced to nothing more than tutored homilies. The 80-minute interview, as anticipated, was destined to get overshadowed by Arnab’s carefully designed questions on Narendra Modi that were few but disproportionate in connotation sure enough to draw the nation’s attention. Here, Rahul evoked the horrors of the Gujrat riots and tried to score a good few brownie points by pinning the blame on Modi. But, Rahul didn’t realize that he was hitting a self-goal in so much as any accusation made by his party at Modi on Gujrat riots brings the spotlight back to the anti-Sikkh riots of 1984 where the congress party has many skeletons to hide in its cupboard. The congress is accused of a pogrom of the same nature and the same administrative passiveness in dealing with it. Thus, by evoking the horrors of 2002 riots Rahul has created a mess for itself where the congress is being subjected to a renewed scrutiny on its actions during the riots. This was certainly not Rahul would have meant it to be in the election year. The interview had given him an opportunity to rise up to the occasion and turn into a statesman of our era by putting forth a pragmatic view on Modi and 2002 riots. He had this opportunity to come forward and to say that the riot, whether 2002 or 1984, was definitely an unfortunate event but since the judicial process is on we should respect the same and should try to move on to focus on some more constructive issues of our time. He could have stolen the heart of the nation by refusing to get embroiled in the hackneyed and much despicable debate of riots. This way he would have largely been successful in changing the political discourse of our time and would have been credited with bringing about the politics of development back into focus. It would have been a tectonic shift in our era of politics and would have brought a bout of fresh air in the electoral arena of 2014. Of course, the Congress has many important things to pick from its 10 yrs of rule and to brandish the same before the nation. But, Rahul Gandhi failed to talk on the highs of his own governance; he failed to emphasize the achievements of his own government by being overshadowed by the discourses of riots. Thus, he failed in bring forth the tectonic shift. The interview had brought him an immense opportunity to go for his desired image make-over. But, Rahul squandered this historic opportunity to turn himself into an adorable statesman from the imminent loser of his time. A missed opportunity, of course. There is an old biblical dictum that says those who live by the sword die by the sword. This dictum finds its resonance in the Aam Aadami Party’s political journey so far which has been, to a large extent, created and nourished by the puissant media power. The media has created, sustained and heightened the euphoria over the curious phenomenon of AAP, which has managed to acquire an envious place of dominance in Indian democracy. But, this act of media need not be taken for granted. Media makes heroes and creates haloes around them. In doing so media goes over the top; it blows each positive trait of the person out of proportion and cries up each single fact about them worth a mention. The 24×7 odes of praise combined with the visual availability of the man across the whole gamut of electronic and print media gives celebrity status to the person and thus the contours of a hero emerges. Both the media and its new-found celebrity enjoy the situation for some time before the media gets bored. As long there is novelty around the person and his ideas, media remains interested in him but the moment the novelty wears off the media gets restless. Now it requires some new heroes who could inject some cool air of freshness in the situation. Thus, media ditches its hero and cries him down. It no longer finds him saleable. Maybe, the media-born celebrity in Arvind Kejriwal, too, realizes this situation well and hence, he is trying hard to inject some freshness in the affairs of his Aam Aadmi Party to keep the interest of media alive in him. This goes to explain the rhetoric and the theatrics that the party has of late taken recourse to which was well visible in its 2-day’s dharna at the Rail Bhawan in New Delhi. However, such theatrics are not going to yield favourable results for the AAP and the causes it espouses. Rather, it is sure to erode the confidence of a sizable number of the middle class voters, a majority of who had voted for the party in the Delhi elections. The middle class got appalled to hear his defiant chants of ‘anarchism’ and felt alienated at his actions which bordered upon lawlessness. This surely isn’t going to cut ice with a majority of his progressive voters, who put premium on means in equal proportions to the goals they cherish; a majority of them felt that that the goal of this dharna might be noble and sacred but the methods employed by the AAP leaders failed to find resonance with their world-view. Similarly, the actions of the Delhi’s Law Minister, Mr. Somnath Bharti, leaves much to be desired. His high-drama mob-raids on unsuspecting foreign nationals and his mouthful of expletives against his seasoned political opponents are in poor taste which is sure to horrify the electorate. The AAP has got many lessons to learn in it. The party has come to power riding the wave of anger of the common man against the system. Now, its cadres feel empowered. The same cadre that once felt disillusioned with the system now feels emboldened to take on the system through its own methods. The party cadres are impatient with the system and hence not willing to let the system act in legally established ways; rather they feel the urge to set things right in their own whimsical ways. Thus, they are willing to raid the premises of vulnerable individuals riding on the zeal of their brute mob power. The party may score brownie points with segments of lower disillusioned masses of the state but at the same time runs the risk of turning its cadres into the likes of those fascist ‘black shirts’ or the ‘storm troops’ of Nazi Germany. Such mobocracy must stop. This is a dangerous temptation against which the party think tanks need to work overtime to guard its cadres. The whole affair of Somnath Bharti is a blot on AAP’s escutcheon; the sooner the man is removed from the position the better for Arvind Kejriwal and his party. The minister has been indicted by the court on the charges of tampering with evidences but Mr. Kejriwal is standing rock-solid behind him cocking a snook at the court’s findings, which the latter finds wrong. Now, he’s sitting in judgment. This way, isn’t Kejriwal closing ranks with politicians of other political parties like the Congress or the BJP, who give similar pleas while refusing to remove their ministers accused of similar malpractices or indictments by the courts? So, where is the difference, Mr. Kejriwal? You refused to accept the pleas of pending enquiries in case of congress or BJP ministers but you’re running extra miles to protect your own minister stuck-up in similar circumstance. How can there be different yardsticks for similar situations? People have lots of hopes and expectations pinned to the great experiment of the Aam Aadmi Party. The great Indian middle class has many cherished goals like good job, good espouse, good cars, good education for children, good house and good quality life. To this kitty of celebrated goals, it has further added the goal of having good governance and a corruption-free political order, by putting strong stakes in the AAP experiment. After having jumped the bandwagon of the AAP, some of those middle class electorates are feeling disillusioned. Hence, it is high time now that Kejriwal should speak by his actions. He needs to get into the teeth of governance and perform to give back some of those skies that he’s promised to the electorates of Delhi. Governance is not all beer and skittles – it’s a difficult job, much more than the job of an activist. Hence, Mr. Kejriwwal, you need to get into the shoes of a Chief Minister now and act out of there. Well, take all those perks and privileges that your position offers; the middle class and those underdogs of your constituency won’t mind. But, get into action; get into governance and give your damnedest. The restless masses want performance. So long you deliver on those promises they give a damn about other things like your perks. Hence, no rhetorics, no theatrics – just deliver. Stop playing to the galleries to please those who don’t matter. Forget those hawks of media. They will sing praise in countertenors and sopranos once you deliver on those promises. Else, the media would maul you; it’s extra zealous in denouncing its jettisoned heroes and in debunking the aura around them. 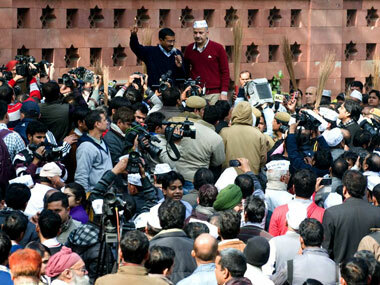 Therefore, Mr. Kejriwal – don’t run the risk of dying by the media. As the year 2013 bows out, we’re set to welcome a new dawn – the dawn of 2014. Each outgoing year passes out and yields to a New Year, which is welcomed with customary hope, fervor and panache. People long and pray that the New Year may bring them happiness, peace, prosperity and all round wellness. But, soon the excitement over its newness wears out and people find themselves stuck up in the middle of the same status-quoistic circumstances. To the majority of us, nothing changes with New Year; a New Year hardly means anything more than changing the calendars and shuffling dates in them. We turn a little older or come up with a little more greying or thinning of hairs, but our material conditions and circumstances determining them remain the same. This, over the years, goes to bring up cynical streaks in our worldview; we grow up into becoming crabby, nagging, and contemptuous humans where cynicism defines the core of our existence and pessimism clours our subtle consciousness. But, this time around, the New Year has been a different ball game. The dawn of 2014 has been a momentous event in the history of Indian politics and democracy that carries the potential to revolutionize our collective existence in the society. In this dawn, a man has risen from the ashes of 2013 to demolish some of those stereotypes of our socio-political order that make us cynical, pessimistic and hardbitten about our circumstances. Yes, we’re talking about Arvind Kejriwal, the hero of a new-age Indian polity who shows incredible promises to cleanse the cesspool of Indian politics. He has comes up as the harbinger of wonderful changes in politics and society. He’s been the greatest discovery of 2013 and the most coveted gift to the masses of Delhi from the outgoing year. Though he’s won just an assembly election in a tiny state like Delhi – which, crudely speaking, is nothing more than a demi-state fighting for its long battle of full statehood – the tremor of the event is being felt all across the length and breadth of the nation. Afterall, never in the history of Indian democracy a political party has come to power without taking refuge to the parochial slogans of caste, community, regions or dynasty. He’s broken new grounds in Indian politics. The psychological impact of the victory of the Kejriwal-led AAP is unfathomable throughout the nation. People have suddenly discovered faith in politics and have found meaning in democracy. They feel that governance can be improved, system can be changed and politics can be refined. People have discovered their unfeigned power under democracy and have found their true worth in the system. Now, a good number of people find politics truely engaging. They feel that politics and democracy can be a puissant weapon to take on the numerous malaises afflicting the nation in form of poverty, illiteracy, casteism, communalism, corruption and various forms of extremism. People are excited over the development and feel that soon the dream merchants of Delhi would get their teeth into governance and would never lie down on their job. There is a sudden burst of hope, zeal and gusto around politicians; there is a growing conviction that democracy can be calibrated to create the structure of a system that can become the proverbial government of the people, for the people and by the people. In the nutshell there is a feeling of renewed hope, expectations and optimism that marks the beginning of 2014. People are in the grip of an exalted feeling of happiness, cheer and bliss. There is an air of feel good and a collective sense of euphoria over the prospects of seeing changes in our collective situations and circumstances around us. 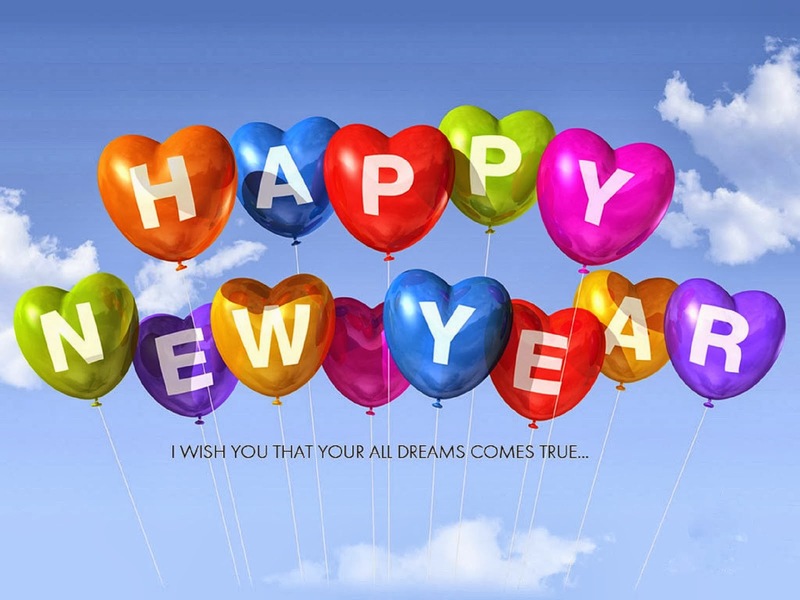 The New Year comes with new hopes, new opportunities and new possibilities.